Fashion photographer Nick Knight has been making people gasp for years but I just got to know his work today, thanks to his book Flora. 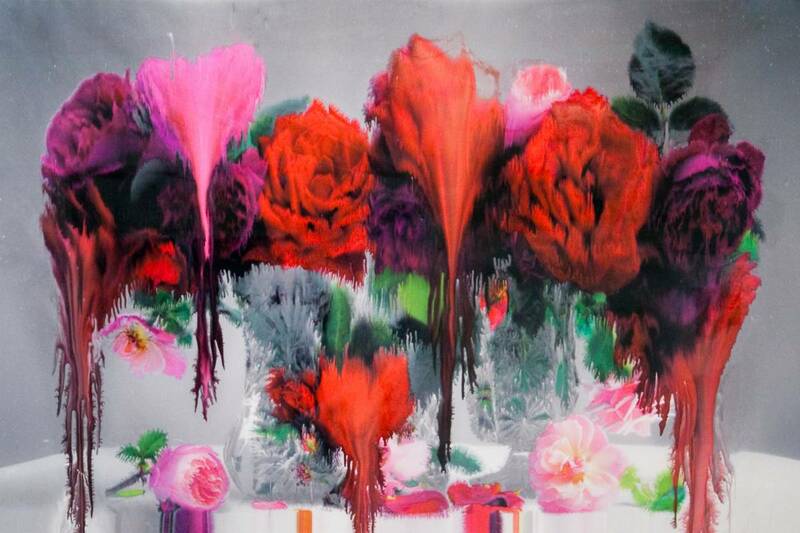 While his pictures of wilting waifs are gorgeous, I’m more drawn to his dripping flowers. They’re drenched with color, saturated with pinks and reds and purples and other colors that remind me of broken veins and beautified bruises. Darkly pretty, except they strike you as pretty first… the eerie feeling creeps in after looking at it a little too long. It’s like his lovely, lovely photos of women sleeping. At first, they are sweet pictures, images of the body at rest. But then, when you imagine the position of the photographer, the place they must have stood, the voyeurism implicit in such a shot—then they become sinister. Fully realized in their power. Weird, pretty, creepy, lovely. I like it. < Previous I Like You: Some great (cheap) art prints. Next > Bryan Nash Gill turns trees inside-out.